What Information Does a Web Designer Need Before They Can Start Building My Website? So you’ve invested in your first website and what an excellent investment you’ve made! The next step is to give your developer information and a lot of it. If you have all the info ready ahead of time, you will avoid some headaches in the near future and your project will move along much quicker. At Netgen, we ask our clients for this info at the start of every project. It helps us to include actual information in your mockup design and makes the design process much faster since we don’t have to replace any info at the end. If you already have a logo for your business, give it to the developer as soon as possible. Make sure it is a good quality logo – high resolution, not pixelated or grainy and without a background. If you don’t have a logo yet, we advise you to hire a graphic designer to create you one before we start building the website. Page content for every page of your website such as vision and mission and services/product explanations. This is the fun part. You can provide your designer with examples of what you have in mind. Websites you like and websites you don’t. Make sure the look and feel you choose fits in with your company brand. 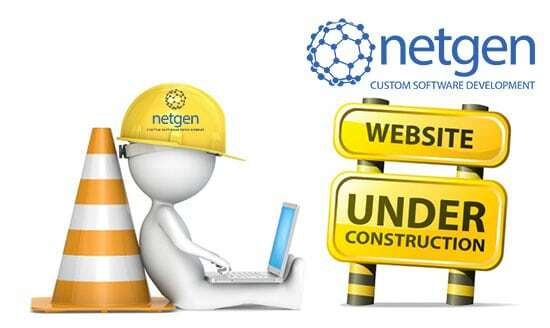 If you’d like more info on Netgen’s process or require a quote for your own WordPress website design in Cape Town, give us a call today. Previous PostWhat Is Digital Marketing Strategy and Why Do You Need It?